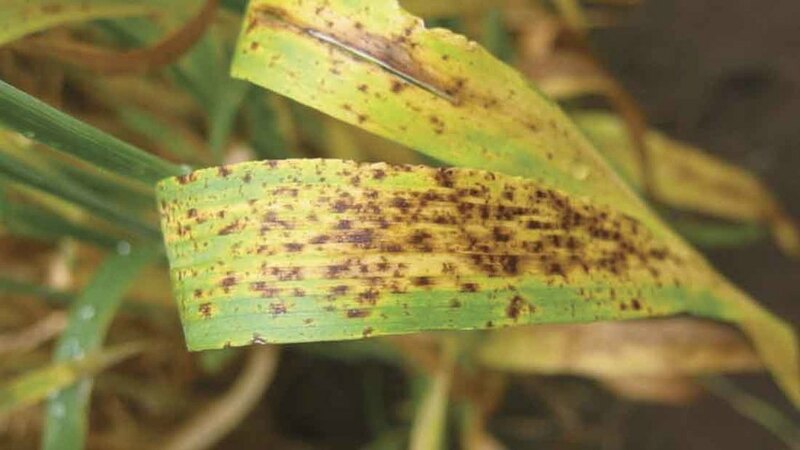 Barley disease, ramularia leaf spot, traditionally more common in Scotland, appears to be moving south. And for increasing numbers of growers drilling spring barley as part of black-grass control strategies, who may not have done so for some years, awareness of the disease and optimal control methods will help to keep it in check. Currently involved in an AHDB-funded project to develop a ramularia risk forecasting tool for the whole of the UK, Dr Havis says this will be validated in the field this season and is planned for launch to growers next season. In the meantime, a robust T2 fungicide programme can help keep the disease at bay. “You get the best control at growth stages 45-55. With an earlier T1 spray there will be some reduction but it won’t be optimal. “A lot of growers think they can get away with one spray on spring barley and think they are saving money but this is the worst of both worlds as they miss the optimum time to control rhynchosporium then miss the optimum time to control ramularia,” Dr Havis says. While SDHIs are particularly effective there is a medium to high risk of ramularia becoming resistant to them and potential loss of chlorothalonil in the future due to regulatory changes, would make ramularia more difficult to control, says Dr Havis. Farms which have had a problem with ramularia in the past and/or are growing more susceptible varieties of spring barley should be particularly vigilant, says Dr Paul Gosling of AHDB. Saving seed also increases the likelihood of ramularia infection, warns Dr Gosling. “People perhaps growing spring barley now that have not gown it for 10-20 years may not be aiming at premium markets and perhaps trying to do it without spending a lot of money - home saving seed. This can be an issue because it is a seed-borne disease. Weather conditions had a part to play in last year’s upsurge in ramularia further south, according to Adama technical specialist Andy Bailey. “Further south we saw a lot last year. Ramularia has been there for a long time but not as prevalent. We’re also now better at diagnosing it – it can be confused with net blotch. There were strong spring rains and late rains in June which get it going. “Last year some saw a lot in Suffolk on winter barley,” he adds. Early symptoms comprise small brown pepper spots on the upper leaves. These quickly develop into typical ramularia leaf spot lesions.